In the lead up to the draft, all players, great and small, face a tremendous amount of scrutiny. This scrutiny results in the experts proclaiming what College Player X has to do in order to become NFL Player X. As college players start their NFL careers, they are forced to transition from College Player to NFL Player. Sometimes, the transition doesn’t go well (see: Ryan Leaf). Other times, it does (see: Arian Foster). College Ryan Leaf was a Heisman trophy finalist; NFL Ryan Leaf was the football version of The Towering Inferno. College Arian Foster was an afterthought’s afterthought; NFL Arian Foster became a publicly-traded athlete. Regardless of a college athlete’s success, each player has weaknesses upon which they must improve. Any troglodyte NFL fan or a rock can recite the deficiencies of Marcus Mariota like any good citizen can sing the Star-Spangled Banner, the Marseillaise, or God Save the Queen, depending on their national origin. The same fans can also prattle on about St. College Mariota’s myriad miracles. However, to paraphrase the ever-wise Charles Kelly, things are never as good as they seem, and never as bad. 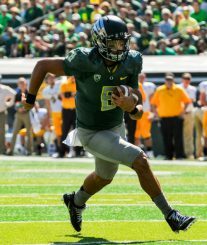 Throughout his college career, Mariota showed a knack for avoiding pressure and making plays that made even my grandmother say, “ZOMG! WHAT WAS THAT!?! ?” But that was College Mariota. We all know College Mariota: smart, fast, well-coiffed. Now College Mariota is forced to become the butterfly that will be NFL Mariota. Aristotle said that the beginning is more than half. 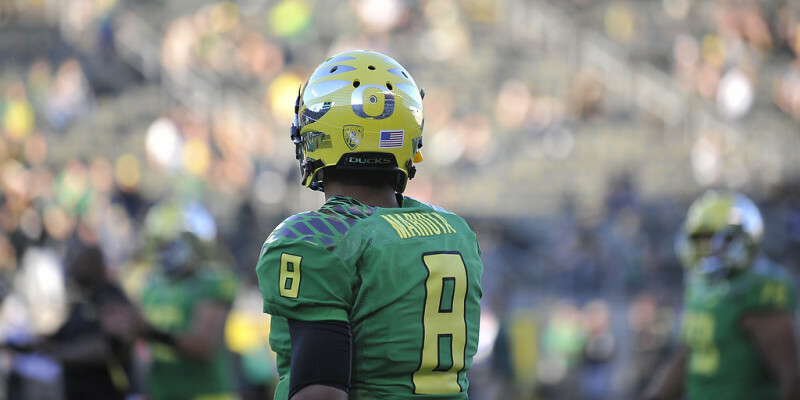 In this vein, NFL Mariota has begun to shed the trappings of College Mariota. So what does NFL Mariota look like? Burgeoning card shark? Fake arm wrestling champ? (Sorry, Sly – Over the Top doesn’t count.) Most appealing NFL player? These are all phrases used to describe one of the top rookie NFL QB’s. Certainly, it must be NFL Jameis Winston, right? There is no way the soft-spoken, product-of-a-system, pro-style offense neophyte could be described in such varied, honorific terms. But in predictably unpredictable fashion, it is not that lover of crab legs, Famous Jameis. These phrases are, in fact, used to describe the anti-Jameis: Marcus Ardel Taulauniu Mariota. Justin Hunter, Tennessee Titans WR, described Mariota, a player pundits and arm-chair quarterbacks alike thought would be lost in a pro-style offense, as a monster in the huddle. He wasn’t described as having command of the huddle, fitting in with the veteran players, or working to earn his teammates’ respect. 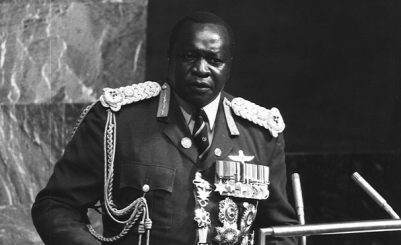 Hunter used a word reserved for Idi Amin and horror movies. Fast? Check. Arm Strength? Check. Monster? Yep. Finally, talking heads also pondered whether Mariota’s speed and arm would transition well to the NFL. Mariota has made short work of those concerns during the first week of OTAs. Just ask Zach Brown and Delanie Walker. Of course, any Ducks, Beavers, Trojans, or Bruins fan could have allayed those concerns in a heartbeat, whether done begrudgingly or not. Marcus Mariota is one part Gator. Even though Mariota shoulders the burden that all highly-drafted NFL prospects face, he has started down the path to stomping out questions about his ability with the same purposefulness that Ndomukong Suh had when he stepped on Aaron Rodgers. Fans should take a step back. College Mariota is in the fledgling stages of transforming into NFL Mariota. While his boyish good-looks will keep him recognizable to fans both casual and rabid, the evolution of NFL Marcus Mariota will result in a much, much different QB. Think Randall Cunningham’s legs + Tom Brady’s arm + Gator McKlusky’s Sheer Awesomeness. 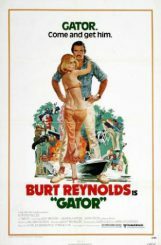 One glance and it is readily apparent that Mariota is Gator’s long-lost Hawaiian son, though without the mustache.